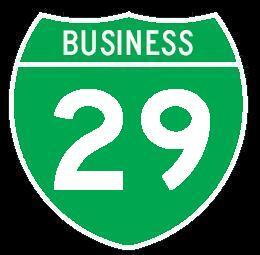 In South Dakota there are business loops and one spur of Interstate 29. The single spur is at Sioux Falls. 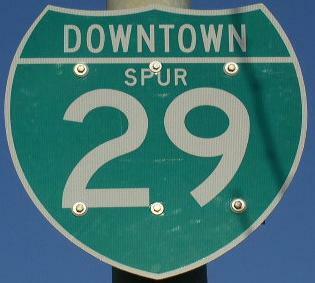 This is labels as "Downtown Spur I-29". The signs around the area seem to have been changed to reflect this recently. The business loops in South Dakota are a bit of a mystery. RMS&W has only came across the loop at Elk Point. AARoads.com, reports loops at North Sioux City, from M.P. 2 to M.P. 4 on I-29. Then another at Brooking from M.P. 127 to M.P. 132 on I-29. The Unoffical South Dakota Highway Page does not list a loop at Brooking. 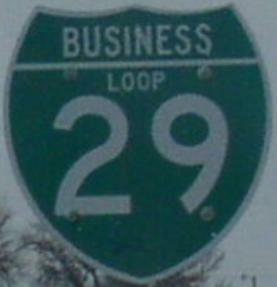 The 2004 Offical Highway Map of South Dakota does not list any business loop or spur of I-29 in the state. Below are the ones that RMS&W has come across.